« Good Morning America appearance! Seems Etsy did not read the same book I did. 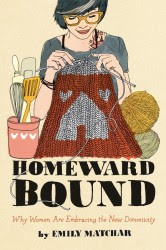 “Homeward Bound” specifically states that the Etsy model as a viable self -sustaining alternative to traditional work outside the home is not achievable for the masses. However, employment outside the home is not exclusive to a corporate environment. Soooo…the Estians put this out, hitting what they believe to the hot button vocabulary of their target audience: ” revitalized economy”; ” empowered women”; ” new, visible, strong, viable alternative”; blogging”; ‘social media”; and raising the evil empire specter of “traditional institutions like corporate workplaces”. Hopeless troglodytes still slogging For The Man: those “soul sucking” hours in a cubicle are paying cash for my kids’ college and providing superb health care and funding retirement. How many jars of jam would cover those expenses? “Work life balance” implies earning enough to be self supporting yet maintaing relationships and outside interests. It is possible, even in a cubicle. I don’t think Etsy’s Communications lady has really read your book from beginning to end (and much less the commenters on that thread). It’s most likely that they have read the relevant chapter (“Oh, here, it’s all about us! Have the press dep. check on that!”) and maybe cross-read the opening. Your tone of writing may come off, especially maybe to Americans, as harsh. I’m a European and I appreciate your clear-written and well-researched work, let alone your sense of humour. I have the feeling that your book may come across as throughout critical and anti-domesticity to many, when it really isn’t. And it’s not your fault either. You draw sharp but fine lines (such as the question about how to achieve a work-life balance), which run danger to be overlooked when not close-reading (and thinking). Etsy’s reply is a mash-up of their standard press pieces, about how revolutionary Etsy is, what new ways they walk, how great the community is, and what else. This, while at the same time cleverly staying out of defining what success really is. It’s the same language and speak all across the media channels out there and whenever an Etsy representative speaks. It’s a big, pink cloud. Or cupcake, rather. Unfortunately, Etsy is not the same as it was in 2005. The focus and ethos have changed. 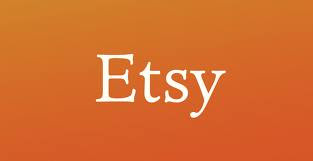 Etsy is being managed and run by people who come from the big industry (Google, Yahoo, eBay, to name just a few), which altogether have not left their big corporate jobs to become better people at Etsy or because they simply have lost their jobs. No, ma’am. The Etsy marketplace model responds to a trend, and where there’s a trend ready for mainstream, there is much money to be made. Even in times of financial hardship like in a recession that’s going global. This is also reflected in Etsy’s recent deal with getting big players such as Nordstrom to buy wholesale from Etsy sellers: it’s back to letting the middleman in. Handamde has hit the mainstream, it is not a grassroots movement anymore – Etsy dances to the drums and rules of an industrial system which it once set out to challenge in new, radical ways. Unfortunately, going mainstream also means giving up so many ideals and ethics. And let’s not mention Etsy’s investors who all want their money back (plus interests) in about three to four years from now; Etsy has to sell a dream. What Etsy does not want to hear: the very true argument that market models such as an Etsy shop in general only make a few happy, and leave too many to unrealistic phantasies (anyone should know how to use a pocket calculator!). Etsy press only focuses on its successful sellers, never mentions those sellers who honestly tried hard but had to give up. The Etsy seller community has always been quite loyal to their new craft gods, down to aggressive mobbing of anyone who dared to dissent or refuse to join into the choir of cheerleaders. When Sara Mosle published her article about how Etsy sells a false feminist dream in 2009, a sh*tstorm broke loose, with way too much bullying and mobbing and too few reasonable, educated, fact-backed discussion. I think this pretty much sums up the current state of affairs, even four years later. -There is an assumption that corporate work is the only other type of work there is. I work in academia, disctinct from corporate work, but also shares some similarities. -There is a focus on individual success. Etsy is promoting itself as “we are all in this together” to some extent, yet it is up to the indidividual to define her or his own success. What? -Gorman writes “while most of our sellers don’t earn their primary income from the site, the income they earn helps cover household bills while providing security and flexibility.” This sounds a lot like similar justification for low-wage cashier/shopgirl type work of the past. Therefore, it is not an alternative to those women (and men) who need a full-time income to support themselves and their family. Etsy is not an option, then, for poor men and women. It does just reinforce the status quo rather than provide any serious challenge to the current system. -Finally, these crafters don’t need Etsy to succeed. They could build their own website (which is easier than it used to be) to promote and sell their products without giving Etsy a cut. It would be interesting to see a study of what sales might be for a seller using Etsy and their own site to promote their products.